Michelle Madow: What celebrities do I see as the characters from Remembrance? What celebrities do I see as the characters from Remembrance? Lucas is Jeremy perfection! 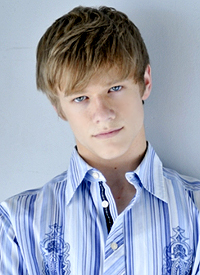 His hair is just right, as are his eyes--they match Jeremy's exactly. I definitely see him as the school soccer star type. His face shape is also how I imagined Jeremy's to be. He's even dressed in light colors here, and Jeremy likes to dress in light colors. Love him for Jeremy! Shiri is another actress who's currently too old to pull off high school, but when she was high school aged she looked just like I imagined Keelie. She's got that nice, sweet look about her, and she's pretty, but in an understated way. Plus, her hair and eye colors are perfect. The hair length in this picture is perfect as well. She's got the short blonde hair and a look in her eyes that makes her seem like she wouldn't be the nicest girl in the school. Definitely the queen bee type, which is exactly what Shannon is! Very cool, I love seeing who authors picture their characters to be like (or least who would do a good job representing them, since it'll never be totally accurate). 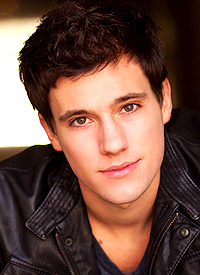 ohai Drew Roy! Where can I see more of you?! Half way through Remembrance! GAH! Drew Roy is insanely hotttt. Love him for Drew. I bought is simply extraordinary! Everything about it, including its quality, color, cuts and design, is just perfect. celebrity style leather jackets and shop for a jacket of your liking there. That a cool blog i read several time and get exciting information about celebrities. all fashions colors cuts and design is great in all picture if you want to purchase more collection please visit our website. The blog is very cool. I see many time this blog to get more information about celebrities. Thanks for sharing, This blog is very helpful for me and business. It's true celebrities christmas can feel like a lot of effort, particularly But when you look back on all in your life, you'll find you've created family traditions and lasting recollections. Those memories, good and bad, are really what help to keep a ancestors together over the long haul. Great post thanks for sharing MEGAN FOX BLACK WOMEN REAL LEATHER JACKET is my faourite. It's actual big names christmas can feel like a ton of exertion, especially But when you think back on all in your life, you'll see you've made family conventions and enduring memories. Those recollections, great and terrible, are truly what help to keep a predecessors together finished the whole deal. It's genuine huge names christmas can feel like a huge amount of effort, particularly But when you recall on all in your life, you'll see you've made family traditions and persisting recollections. Those memories, incredible and horrendous, are genuinely what help to keep an ancestors together completed the entire arrangement. They are legends of our Hollywood industry. They are inspiration of our youth. It is really hard to forget them. My team of Essay Writing Service UK Price tribute the work of this team. Beautiful post. amber robert looking so stunning. thanks for sharing this post. Buy customized jackets and costumes for women / ladies. We have a variety of best women's Film & TV Series jackets, Wear and enjoy our high quality Marvel Comic Movie costume leather jackets & coats for ladies .Women Movie jackets at discounted prices and free shipping in USA, UK and Canada order over 200$.
. Really informative and inoperative, Thanks for the post and effort! Please keep sharing more such blog. Now I saved it to my bookmarks so that I can keep me in touch with you. I like the style of your writing content mens outdoor black jacket. It just amazing and excellent. The blog post is very connective and attractive. All the information I found in post is very useful.keep it up,you are doing great..